Happy Monday friends! Birthday week is here - no denying I'm excited! Our weekend was incredibly low key thanks to freezing temps here in Boston. Lots of movies watched - including Allied, Crossroads & Deadpool, a delicious brunch, meetings with one of our couples for May & getting a gorgeous balayage were just a few of the weekend highlights! Since I didn't snap too many photos this weekend, I thought I'd share a little bit of what's on my birthday wish list! This is more of things that are on my radar, some things I'll end up buying for myself over the course of the year - You'll see I like my accessories! My first little birthday purchase is this little popsocket for my phone - I'm always afraid that I'm going to drop it when I'm carrying too much - so this will help! I have a pair of these double sided stud earrings & I love the gold crystal double stud ones. There may or may not be a big wish list item that I'm going to be buying for myself at some point this year!! The two tone nikes are way too cute & I've had my eye on them for a while now, same goes for the dual phone / watch charging station to keep all the wires at bay on my night stand. Everyone should splurge a little on themselves for their birthdays, right?! Hope you have a wonderful start to the week! There is nothing like a relaxing weekend with lots of movies when it's cold! I love everything on your birthday wishlist. I have never seen a phone/watch charger -- so awesome and I love the rose gold color! Have a great start to your birthday week, Biana! Yay twin!! So excited for Friday!! I hope you get your LV- what an amazing birthday gift!! Whoohoo Birthday week girl is in da house!!!! LOVE these Nikes and cannot go wrong with great sunnies or LV!! Hope this is the BEST week ever!! Happy Birthday week! I hope you celebrate all week long! And I love those Nikes--I've been a sucker for good tennies lately and I have my workout pairs and then my errand running pairs haha! Happy birthday week! These are such great picks I love those earrings and the popsocket is such a great idea! Woohoo for a birthday week! You work hard enough girl you neee to definitely treat yourself for your birthday list! Happy Birthday week sweet girl. Happy happy birthday! Also some very good pics and that charging station is ingenius. I saw your Insta post about your hair and it looks gorgeous! Girl, your hair is to die for! It's so thick and silky! Happy birthday week! I hope you enjoy! Happy birthday week! I am swooning for that LV bag!! Ok, that charging station is GENIUS!! Love that idea. I need that bag...and it's not my birthday either, haha. I loved your wishlist! Those earrings are gorgeous. The perfect color! You need that pochette metis bag! That bag is literally goals! I am in love with the detail of that bag such a perfect purchase for your birthday! And happy bday pretty lady! All of these!!! Yay for birthday week and relaxing weekend! Can we switch lives for a weekend?!?! I would die for all of these for my bday... Happy Monday! Happy Birthday week girly girl! YAY for being a March baby too!! Ok so funny that you're mentioning the LV Pochette Metis--I have been wanting to purchase an LV bag for a while and I think I settled on this one for after the wedding! It's just SO cute and such a great size! I'm excited for you to get it!! Happy Birthday week friend!! Definitely splurge on that LV for yourself. It's beautiful! Yay for your birthday week! I keep seeing those pop sockets and didn't realize they were to help with grip (I thought they were for a car mount or something)-- but such a great idea! Love that ipad case and the bottle of the perfume roller is so pretty. LOL!! I could not figure out what the docking station was! That's genius for people with both! I hope you get everything, haha, especially that bag ;) It's gorgeous and will go with everything, such a perfect size. I've been eyeing this one too, it just has a nice classic shape and style to it, while still so charming! I also love those earrings, too! Thanks for sharing your wishlist with us, beauty, and I can't wait to see your hair, I'm sure it looks fabulous! Enjoy the start of your birthday week!!!!! Happy Birthday week!! Love those sunnies and that crossbody! Happy birthday week, girl! I splurged all last week for mine so I'm glad someone else agrees that it should be a thing. :) I love that phone popsocket thing, what a great idea ! Happy birthday week! It's so crazy how fast the year is flying by, right? You're going to love the dual charging station for your phone and watch! It's so nice to have everything right there and to not deal with so many plugs too! Yay for birthday week! I just had mine too and have been debating on buying my first ever nice handbag too. Hope you have the best week! So many of my girls that were in the pageant had that pop socket thing and I think I need to get that too! Yay for a birthday wishlist. Happy Birthday Week Girlie!! Hope it is fab! Love all the items on your wish list, you deserve them all. Ok, can we talk about how cold it was this weekend? I went for a walk but after a half an hour, I had to call it a day. It was just too cold to be outside, even for me. haha and I love the cold. Yay for birthday week! I hope Gary spoils you rotten -- you deserve it lady! Loving everything from your wishlist! Happy Birthday week!! Love those Nike's you have picked out!! I loved your hair boomerang, looks so pretty! Treat yo self for sure, you deserve it! I have a Louis on my list for my 40th, 2 more years, eek. Hope you have a great week! Happy Birth Day week! The nikes are gorgeous! Love the color too! Happy early birthday!!! How have I never heard of double sided earrings??? Genius. I love the Nikes too. Great color combo. I wasnt even sure what the rose gold thing was & had to click to see... what a pretty docking station!!!! & yeah -I think I need to get a popsocket myself. They look so handy. I will take one of everything too, please!!! A LV is on my bucket list to own at some point. They are much much pricier than my usual Michael Kors or Kate Spade. But such a classic, timeless staple that any one you get will be timeless and treasured!!! Happy Birthday Week!!!! I hope you have a great birthday week and you get everything on your wishlist! I love your picks!! I feel like I am constantly eyeing a new pair of Nikes- I wish I had a closet full of them lol! Love those double sided earrings, so cute and dainty! Also that charging station sounds awesome and how great is it to consolidate charging to one thing right?! Hope you have a fab week ahead girl!! Yay, happy birthday week! I've had my eye on those Nikes too! I am just waiting because I have a bunch of sneakers I don't wear! haha. I LOVE those earrings. I need a pair for myself. Lots of great ideas on here. That purse!!! So many great picks - loving those sneakers!! Yes you need the Louis! Once you start you can't stop!! 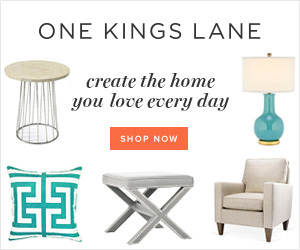 Oh I am loving all of you b-day picks! That LV bag is stunning!! 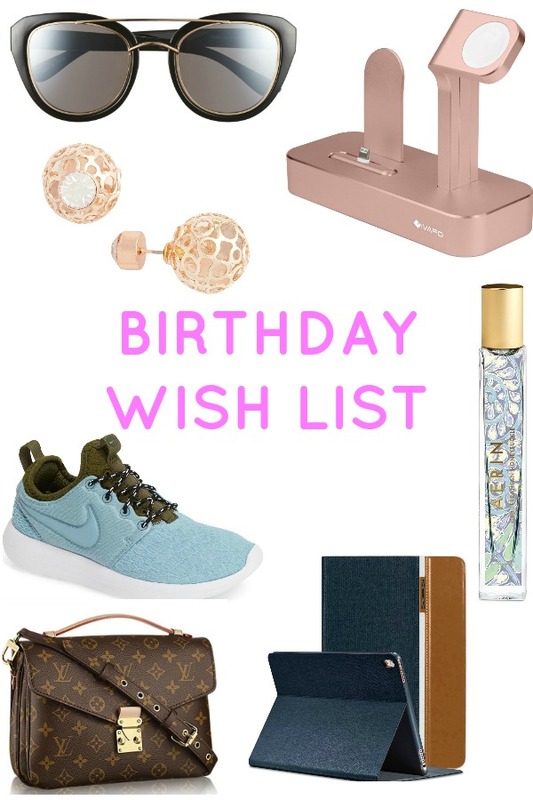 I also created a wishlist for my birthday in hopes of someone getting the hint. But no one did i hope you do! What a great birthday wish list! I would be sooo happy with that LV bag!! Happy Birthday in advance. Hope you get everything on your list. Lovely blue sneakers for spring! Happy birthday week to you!! I saw your balayage on insta, so pretty!! I love your wish list! So many splurge worthy items. I'm loving your birthday wish list! Those sneakers are super cute. Happy birthday lady! Love the double stud earrings, I have a pair of pearls that I love and now you are making me want another pair. I've never seen one of these popsockets....i know...i live under a rock, but I am seriously intrigued by this. Happy Birthday month! It's going to be even colder this weekend! At least in Ohio, we are expecting snow! Ugg, where is Spring?! (; Regardless, I hope you have a wonderful birthday and get everything you wanted on your wishlist!